Christmas is also a time of adventures in Minecraft. 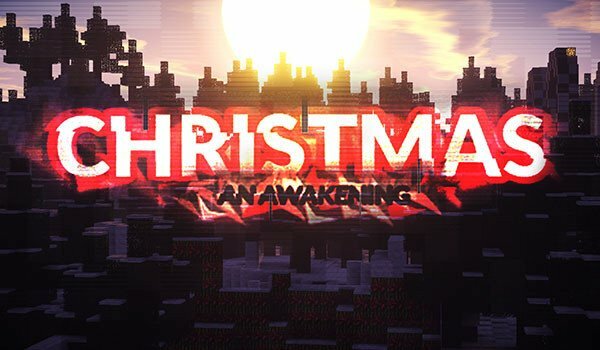 Christmas Anawakening Map 1.8 is a map based adventure Christmas time. The map is set in the North Pole, specifically in the village of Santa Claus, and our history will begin in the magical and majestic Santa’s Workshop. Our character will play one of the elves of Santa Claus, who has awakened after a long cryogenic sleep. From here a mysterious story, which contains drama, comedy and emotion, through facts, battles against waves of enemies and action scenes in slow motion develops. How to install Christmas Anawakening Map for Minecraft 1.8? Enjoy a Christmas adventure in Minecraft!